Aerial view of Newark Liberty Airport where operations were briefly halted after drone sightings. Credit: Fan Railer (talk). 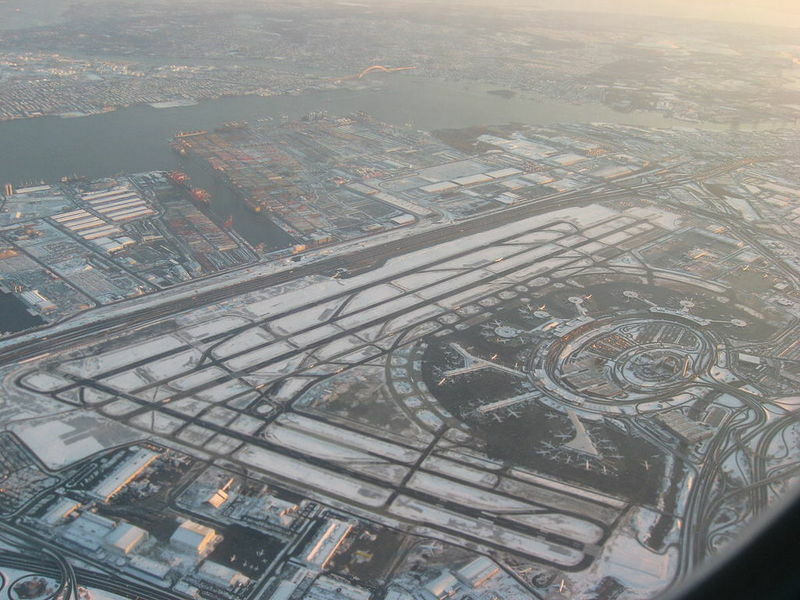 The US Federal Aviation Administration (FAA) briefly halted operations at New Jersey’s Newark Liberty International Airport on the evening of 21 January after two drones were seen flying in the airport’s airspace. Two incoming flights at Teterboro Airport reported that the drones were flying at 3,500ft. One of them came within 30ft (9m) of an aircraft, according to the BBC. The FAA in a statement said: “At approximately 5pm, we received two reports from incoming flights into Newark that a drone was sighted at about 3,500ft above Teterboro, New Jersey. Teterboro is located approximately 20 miles north of Newark International and operates as a general aviation airport. A spokesperson for United Airlines said in a statement that the passenger carrier is monitoring reports of drones sightings. “The impact to our operations has been minimal so far. We are working closely with the airport and the FAA to return our operations to normal as quickly as possible,” the airline added. Newark International incident comes after major chaos during the Christmas period at London’s Gatwick and Heathrow airports, when drones paralysed operations at both airports. A similar drone sightings incident near Gatwick Airport last month caused widespread disruption and led to the cancellation of approximately 1,000 flights. Around 140,000 passengers were affected by the incident.